This workshop is targeted at individuals who have a business and are interested in gaining valuable information about accessing finance for your business. Overview of Microfinance Ireland (MFI), private investment, business angels, bank/credit union loans, invoice discounting, leasing, government grants etc. Participants will be informed of how loans are assessed and will be provided with tangible examples of common reasons why loans are refused. General information on types of sources of finance available for small businesses. A one day workshop for people / companies who are planning on selling their products online and who want to learn more about the process and practicalities of e-Commerce. This Workshop will provide an overview of all aspects of maintaining proper books of account for a start-up or small business. You will be guided through the setting up of a proper system of book-keeping and how to use the information recorded, to run your business. The Mill Enterprise Hub and Drogheda Institute of Further Education (DIFE) are delighted to announce that the launch of the inaugural Art Exhibition form DIFE students will take place at The Mill on Saturday March 30th from 3:30 to 5pm. The exhibition includes artwork from four DIFE students and will be open to the public over the coming months. TEDxDrogheda is back! The third TEDx event in the North-East of Ireland has been officially launched in January 2019, under the title “The People. The Planet. The Future”. The event will be hosted in the Droichead Arts Centre on 15th March 2019 and will provide a broad interpretation of the above theme, with presentations by artists, social activists, entrepreneurs, historians, and academics from our local community. Eight speakers have been selected to share some ideas with us about “The People. The Planet. The Future”. Drogheda Business Book Club and Refresh Boyne invite you to join them for a special Local Enterprise Week joint event at The Mill Enterprise Hub. The author Yanky Fachler, will lead the discussion about writing for a living, and the process of creating corporate content for blogs and marketing material. The second half of the meetup will focus on ‘Fire in the Belly’, Yanky’s book exploring the entrepreneurial mindset, which will be discussed in-depth at the next book club meeting on March 21st. Hosted by Padraic Kierans of Anglo Printers, this event will feature panel discussions, case studies and a very special keynote address by inspiring entrepreneur Martin McVicar of Combilift. Support agencies will deliver their quick fire pitches, outlining the supports they deliver to business and will be available to talk to business owners one-to-one. Opportunities abound for networking and learning at this event and it will be a truly motivational and inspiring way to kick off Local Enterprise Week 2019. Brian Connolly makes a welcomed return to The Mill Enterprise Hub with this free event aimed at helping new and emerging businesses take their work to the next level. This 60 minute talk (followed by 30 minute Q&A) will give uncomplicated and accessible tips that can be easily applied to businesses within a variety of industries, whether you’re a self-employed make-up artist, a website designer, the owner of a book shop or a student/recent graduate who may be about to embark on their own startup business! Our next Book Club meeting will take place on Thursday, 21st February at 17:30 in The Mill Enterprise Hub. Join us by registering your interest on Meetup and read this month’s book – “This is Marketing” by Seth Godin! Applications are now being accepted for the Illuminate QQI Accredited Level 6 programme which is delivered by the DCU Ryan Academy and is aimed at entrepreneurs seeking to develop their business. The programme is supported by Coca-Cola International Services, AIB, M1 Drogheda Chamber Skillnet and the Louth & Meath Local Enterprise Offices. The programme fast-tracks female led businesses to develop their business and leadership skills, achieve scale, and create employment. Participants are given the knowledge, skills and understanding to commercialise sustainable and profitable products by completing 12 study modules including Sales Strategy, Project Management, Business Risk Management, Sustaining & Growing Your Business, Marketing, and Leadership. Gain practical tools and techniques to manage your branding and promotion to maximise business returns. Participants will be asked to consider their own brand, its personality, its uniqueness, positioning and management within the overall marketing and promotion of the business. Participants will be provided with practical tools and techniques to manage their branding and promotion to maximise business returns. Have you got a business idea or have you just set up your business and need the office environment to help you concentrate on work? We’d like to offer new startups a chance to proceed from a “pre-trading” business, to a fully operational company. There will be several hotdesk prizes over the year, each up to a maximum of 4 months stay in The Mill. Many small businesses cannot afford to move straight into office space and so renting a hot desk or shared space working can provide excellent solutions. Hotdesk rental can provide a low cost, professional solution for the small business looking to move on from working from home; without having to make a long term commitment for office space before the business is ready. The core advantages of hotdesking lie in increased levels of communication and improved professional relationships. Sitting and working alongside different people every day allows you to build bonds across the wider business. Because you are free to choose where to sit, you to manage your days more wisely and not get distracted when you don’t want to. For example, if you’re completing a task where you need extra concentration, you can choose to sit at a quieter corner for the day whereas usually you prefer to sit around chatty co-workers. Hotdesk mentality motivates people to be tidier and more organised, in order to leave the desk ready for the next person and to expect the same when they choose a new spot the next day. According to a research published in Journal of Consumer Research, there is a 167% improvement in persistence and attention span and 10% improvement in productivity in neater work places. What a win-win! Our hotdesking offer comes with free benefits such as superfast WiFi, usage of our coffee machine, meeting space, phonebooths, showers, and much more! If you’d like to register your interest in availing of the 4-months free hotdesk offer, please fill out an online form and we will get back to you as soon as possible! The Business Start Training Programme has been designed to address the needs of those wishing to start their own business, or those who have recently started trading. It is aimed at providing practical support, advice and guidance in a broad range of business areas. Vodafone Ireland is partnering with the Small Firms Association (SFA) for a series of regional workshops aimed at Irish businesses. The ‘Smart Business’ workshops will offer tips on smart working, HR and profit growth. Vodafone Ireland and Abodoo will host conversations with attendees on the benefits of smart working for businesses and how it can be introduced across various sectors. The SFA will also introduce its new engage and grow framework to help companies increase profits and retain top talent. There will also be experts on hand to discuss the HR and technology requirements for making businesses smarter, to help transform traditional workplaces into more digital ones. Global Game 2019 is coming to Drogheda this January. Join Game Devs around the world as they gather for 48 hours of game developing, pizza and a bit of craic. Running in the Mill in Drogheda for the first time teams and individuals are encouraged to come along and make games according to a common theme which remains a very well kept secret until 5pm on Friday 25th! Our next Book Club meeting will take place on Thursday, 17th January at 17:30 in The Mill Enterprise Hub. Join us by registering your interest on Meetup and read this month’s book – “Alibaba: The House that Jack Ma Built”! Our next Book Club meeting will take place on Thursday, 13th December at 17:30 in The Mill Enterprise Hub. Join us by registering your interest on Meetup and read this month’s book – “Take Your Shot”! This year’s Illuminate QQI (Quality & Qualifications Ireland) accredited Level 6 programme will be officially launched on Monday, 10th December 2018, from 11:30am to 12:30pm, followed by networking over light lunch. This launch is an opportunity to hear from two inspirational female business leaders, and obtain additional information on the next Illuminate programme which will commence in February 2019. Due to recent algorithm changes, being up-to-date on all things social media is pivotal to any businesses’ marketing strategy… especially as Ireland is one of the largest users of social media in the world and when you look around cafés, bus stops, restaurants and shopping centres, this is clearly evident. This time people spend on social media offers a huge opportunity for your business to communicate and connect with your customers in a way that was never possible before at times that were previously off limits. If you offer good communication, the next step is to convert them into life-long customers. In this one-day social media workshop you will learn how to use the various social channels available to you to help grow your business. Best practices will be shown, as well as inside tricks and more for the most effective social media platforms. This course is for those who already have an active Business Facebook page and want to learn more. This short seminar (maximum of 6 participants) will concentrate on Theme one, “Economic Development, Enterprise Development and Job Creation” which focuses on driving continued local economic and enterprise development, including the diversification of the rural economy (includes Drogheda region) and creation of employment opportunities for the local communities. A representative of Louth LEADER will outline the main headings of LEADER funding that companies can apply for, the application process, and what is needed to create a successful application. This 2-day workshop delves into the methods of Lean and Six Sigma. These approaches to process improvement reduce waste, boost productivity and increase overall profitability. Lean Six Sigma can be successfully implemented in organisations of every size and in all sectors of industry. The aim of this 2-day Yellow Belt course is to improve the understanding and awareness of learners in lean processes and techniques. A practical hands-on half day workshop on setting up & using social media for your business. Our next Book Club meeting will take place on Thursday, 15th November at 17:30 in The Mill Enterprise Hub. 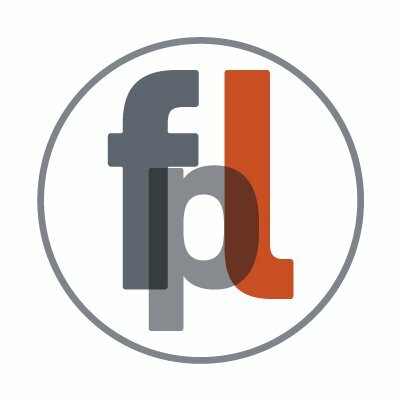 Join us by registering your interest on Meetup and read this month’s book – Freakonomics! managing and closing projects; risk management; resource and scope planning; quality control and leadership techniques. This Workshop will provide an overview of all aspects of maintaining proper books of account for a start-up or small business. This workshop is designed for those with people management responsibility who need to have a basic understanding of employment law, including working time restrictions, break entitlements, leave entitlements and handling disciplinary and grievance issues effectively. This workshop will give attendees a clear understanding of the main VAT issues that need to be considered. This advanced course focuses on the vast array of functionality of Microsoft Excel and will allow learners to enhance their skills. The course also goes into detail on how to normalise data and analyse it with Pivot Tables. Access to Finance Workshop is designed to demystify the processes of raising Finance for your Business. This workshop is targeted at individuals who have a business and are interested in gaining valuable information about accessing finance for your business. Various types of financing will be discussed, and information will also be given on types of loan finance available from lenders such as Microfinance Ireland, as well as the mainstream banks and credit unions. Finance for Non-Finance Managers is intended to provide an overview of the main aspects of finance that confront an increasing number of individuals in business today. There is increased competition, better financial supports and systems and the importance of understanding and appreciating all aspects of the finance domain to remain ahead of the competition. This course is designed for learners who have used Excel before and want to expand their knowledge, improving formatting, organising data, highlighting key information and creating formulas/links between sheets. The course will introduce new concepts for sorting data, and building conditional formulae. If you think you know Excel, this course will show you what you’ve been missing. Learners will leave feeling a new confidence in their Excel expertise and ready to take on new challenges with data. During the training session, each learner will work through exercises and practice using the various Excel features covered during the course. With GDPR now live it is imperative that every business is compliant. This course is designed to walk you through the processes you need to implement in your business and gives easy to follow guidelines. Try Hotdesking During Fleadh 2018! We are inviting anyone travelling to Fleadh from other counties to use a hotdesk at The Mill at a discounted rate of €10 per day! Meet local entrepreneurs, get a quiet working space, or come in for coffee – whatever it might be, we’d be delighted to welcome you here on the day. Please book your desk in advance, in case we run short on spaces. This course is designed for learners who have used Excel before and want to expand their knowledge, improving formatting, organising data, highlighting key information and creating formulas/links between sheets. The course will introduce new concepts for sorting data, and building conditional formulae. If you think you know Excel, this course will show you what you’ve been missing. This course covers the key steps in a robust sales process including – sales planning, identifying and qualifying opportunities, rapport building, the sales pitch, overcoming objections and advanced closing techniques to ensure the sales team are delivering a clear, consistent and compelling sales message. At the end of the course each learner will understand the sales process, the different kinds of customers and how to close each sale in using the best method. Conor Nolan is 24 year-old psychology graduate from Termonfeckin, Co.Louth, with a background in start-ups. Members of the local business community are invited to an important information briefing on arrangements for Fleadh Cheoil na hÉireann 2018. The event, which is hosted by the local Fleadh Executive Committee and supported by Louth County Council, will be held on Wednesday 30th May, from 6pm for a 6.30pm start at the Westcourt Hotel, Drogheda. The briefing will be led by a panel of representatives from the Fleadh Executive Committee, Louth County Council, An Garda Síochána, the HSE and Louth County Fire & Rescue Service. The panel will address issues that businesses need to consider in advance of the Fleadh and participate in a Q&A session with attendees. If you would like to explore your digital business or digital business idea with NDRC, their Venture Investment Team will be hosting meetings in The Mill to discuss their upcoming accelerator with potential applicants. This practical, one-day course examines the key aspects of performance management and provides practical guidance on how to take a goal-orientated approach to improving the performance of staff. On completion of the workshop, learners will get a DCM Learning certificate of completion. Suitable for: Line managers, supervisors and team leads who have performance coach responsibilities (evaluating and managing others’ work) and need to help people achieve their potential. This course is suitable across all industries and sectors, focusing on tools and techniques to manage people performance. PSD2 implementation: What are the key changes under PSD2? How does PSD2 open up the industry to fintechs? Reflections from inside the UK regulator, Do regulators like innovation? This short course looks at the basics of how to cost your product / service and to understand the market in which you are selling to price with confidence. Refresh Boyne, and the M1 Payments Corridor are delighted to welcome Ken Cregan, Head of Financial Services Consulting, IBM Ireland, to discuss AI, and how it will change the way we interact with financial services companies (and other sectors) in the future. Understand the new data protection laws and how to implement them in your business to ensure company compliance. This course will provide participants with an overview of the key aspects of financial forecasting for a start-up or existing small business. The course will cover different aspects of stress, how it is caused, the effects it can have on us and what techniques we can use to reduce and manage stress. This is a practical and interactive workshop that will explain, explore and outline what you need to know to market your business effectively. This Seedcorn workshop is aimed at assisting companies to become investor ready and who are interested in entering the 2018 Seedcorn Competition and a chance to win a share of the total cash prize of €280k. The workshop will run through the process for entering the competition which will include advice on what an investor looks for in a business plan and advice on preparation of video clips and presentation slide decks. Optimize your YouTube Channel and make the most of your business video on YouTube and other social media platforms. 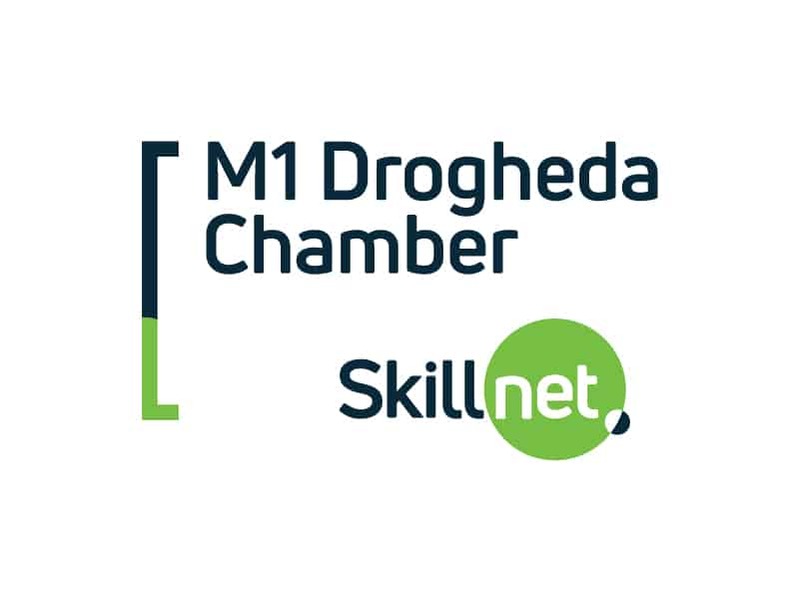 As part of Local Enterprise Week 2018, Drogheda Chamber and Local Enterprise Office Louth are delighted to invite you to the Launch of Skillnets North East and Speed Networking session in The Mill. As part of Local Enterprise Week 2018, The Mill and the Local Enterprise Office Louth are delighted to invite you to the upcoming Refresh Boyne talk in The Mill Enterprise Hub. Glen Killane, the managing director of Eir Television And Eir Sport, will speak on the future of TV and how technology will affect our viewing habits, and access to sports. This will be a great opportunity to hear how Russell and Patrick developed an award-winning blog, and discuss the future challenges and opportunities in blogging and social media. This Workshop is ideal for those who already have a Facebook page for their business and want to learn more about how to increase engagement, add apps & advertise on Facebook. This interactive workshop will focus on the essential elements required when starting a business. Refresh Boyne and the M1 Payments Corridor are delighted to welcome Jack Nagle to discuss the growth of cryptocurrencies, explain what exactly they are, and look at some of the potential security issues. This year we would like to explore the theme of identity, and discuss whether it’s influenced by culture, technology, art, social media, fashion, etc., or whether it’s fixed forever and same for everyone. Broadly speaking, identity helps us distinguish one person from another, and we intend to examine how people from different ages and nationalities perceive this theme. This is practical and informative and helps dispel some of the myths around Health and Safety for your business. The author of three books, Bill is a speaker at events such as The World Economic Forum, The Globe Forum in Sweden, TED and TEDx and also at major institutions such as The London School of Economics and The House of Commons. This interactive workshop offers fact-based skills and sound advice to support Owner/Managers and key team members of Micro and SME’s to increase their productivity and achieve a better work-life balance using tried and tested time management techniques. The Business Start Training Programme has been designed to address the needs of those wishing to start their own business, or those who have recently started trading. It is aimed at providing practical support, advice and guidance in a broad range of business areas. This programme will enable participants to gain a working knowledge of how to set up a business and / or to manage an existing business. Everyone who collects or handles information about people (e.g. customers, prospects, employees) is subject to data protection law. This is getting much stricter from May 2018 with the new General Data Protection Regulation (GDPR). While the GDPR is a hot topic, it is a headache for SMEs in particular who need to come to terms with new compliance and record-keeping obligations. Unfortunately, there has been misinformation and scaremongering about the GDPR’s negative impact. Many SMEs are confused and don’t know where to start. However, help is at hand with an SME workshop at The Mill on 13 September. Declan Costello, Head of IT infrastructure at Ryanair, will talk about the journey Ryanair Website has made from its beginnings to current status. This covers the “old” Ryanair site and shows the changes they have made to make themselves more customer friendly. Avoid heavy fines and loss of reputation resulting from data breaches. Learn from the experts how the EU General Data Protection Regulation (EU GDPR) will affect your organisation. Understand the implementation path to ensure EU GDPR compliance. A great opportunity to network at the Talent Management event organised by Orsborne Recruitment in The Mill. Do you need some fresh thinking? Have you got great ideas and need some help? Catalyst are holding an open session in The Mill to give you the low down on this exciting programme that could transform the way you work with expert advice and financial support along the way. Would you like to use audio and video content on your website but are unsure as to how you can even get started? ‘60% of website users are unimpressed with poorly produced content. Are you aware of how to structure the content in your videos to keep people watching? Whether you are a sole-trader, or member of a marketing team, this training can be highly beneficial to anyone interested in learning practical methods of increasing engagement with your digital audience. New Data Protection Rules – How does it apply to my business? Conor Donnelly from IT Governance will update attendees about the incoming European General Data Protection Regulation (GDPR). From May 25th 2018, GDPR will supersede all EU member states’ current national data protection laws. This course is ideal for those who already have a Facebook page for their business and want to learn more about how to increase engagement, add apps & advertise on Facebook. This short course focusses on these two activities, breaking down the sales process from planning and prospecting for new customer, to securing customer loyalty and repeat orders. Organised by The Mill Enterprise together with Sustainable Nation, the one day workshop (10:00-16:30) will walk you through all the steps in developing your idea or business further. It is free, but you do need to have the beginnings of an idea. Places are limited and will be allocated on first come, first serve basis. This free event is aimed at assisting companies to become investor ready. Companies who are interested in the Seedcorn Competition can discover the process for entering the competition and receive advice on what an investor looks for in a business plan, including providing advice on preparation of video clips and presentation slide decks. “Marketing with a Tight Budget” is designed to support SME business owners looking for efficient, effective and low-cost marketing strategies to help the business to grow and prosper. This Workshop will provide an overview of all aspects of maintaining proper books of account for a start-up or small business. You will be guided through the setting up of a proper system of bookkeeping and how to use the information recorded, to run your business. Organized by The Mill, Creative Spark and Paypal as part of the Louth LEO Enterprise Week, this seminar will look at recent trends in the sector, and offer advice on establishing an online payments solution. Followed by an optional tour of PayPal. want to generate leads and business from the micro-blogging platform. Learn which employee records should be kept to ensure compliance for WRC inspections. Understand how to manage difficult employee situations. Understand which type of employment contract is appropriate for each role. On Thursday, 1st December 2016, we’re holding an open doors event in The Mill and giving you a chance to check out our newly-built Phase 2 facilities, including offices, hotdesks and casual drop-in areas. It is going to be an informal event with loads of coffee and biscuits, group tours and free advice. On Wednesday, 30th November, Patrick Mooney, UX Design Manager from Optum, will talk about user experience design. With over 17 years professional experience, rooted in a technical background, Patrick brings a different mind-set to what is considered a creative discipline. He recently joined Optum, a UnitedHealth Group company, to establish, grow and lead a new UX Design Studio. He followed a calling to user experience in the noughties fulfilling a lifelong passion for user-centered design. He plays a very active part in the Irish UX scene as a co-organiser of Ireland’s largest monthly UX MeetUp group, DublinUX, and founder and host of the weekly UXoverLunch. This year’s Illuminate QQI (Quality & Qualifications Ireland) accredited Level 6 programme will be officially launched on Thursday, 17th November. The launch will run as part of the Meath Enterprise Week 2016 and will take place in The Mill from 12:30pm to 14:00. Ron Immink, CEO of Bookbuzz, will be referencing the best business books of 2016 to talk about how you can be more creative and innovative in 2017. He is a regular contributor on Newstalk radio, he does public speaking and his articles are regularly featured in the media. He blogs and tweets a lot (@orangemanta). Mohammed Malaka is a solution architect in HP Ireland, with over 15 years of experience in software development. He has started Ionic Ireland Meetup Group to help front-end developers exchange ideas and share experiences about Ionic framework https://www.meetup.com/Ionic-Ireland-Meetup-Group/. In this Refresh Boyne talk Mohammed will go through the journey of migrating a native to Hybrid App using Ionic framework. starting your own business? This interactive workshop will focus on the essential elements required when starting a business, including what is required when approaching financial service providers. This ‘Introduction to Tendering’ workshop is aimed specifically at small business owners/sole traders that have never completed a tender before. It aims to demystify the procedures around pitching for, and ultimately winning some of the ‘below threshold’ (ie. below €25k) work that Local Authorities and other Government Bodies/Agencies contract out. Paul Hayes, CEO of BeachHut PR, has extensive experience in technology communications and notably developed the messaging for early Irish tech success stories such as Havok and Demonware. An accomplished host of many technology events in Ireland and abroad, he has delivered innovative marketing strategies at international trade shows such as GDC and SxSW. He was also a founder of Games Ireland. Our 2nd e-Payments Conference will focus on driving Ireland as the EU Gateway for Payment firms. CityNorth Hotel is on M1 Corridor and is exactly 15 minutes from Dublin airport. So you’ve just completed, or are about to complete, your first year of trading as a Sole Trader. You’ve been putting it off for a while, but it can’t wait any longer – you must start preparing to file your first income tax return! This course will provide an overview of all aspects of the process for completing your return. For years every business has known they needed to invest in a web presence and social media, but many of them do so without a defined strategy? SMEs have concentrated on the figures (how many likes etc), when the most important things to focus on are: am I reaching my audience / Is my audience doing what I want them to do when I do reach them? Basic Search Engine Optimisation (SEO) is fundamental to your online presence. Using good SEO practices can help you position your website properly – enabling your business to be found when potential buyers are looking to buy products or services that you sell. Whether you are starting up in business or growing your business, you need a business plan. This plan will provide the roadmap to achieve the success that you want. The question shouldn’t be if you write your plan, but how to write a business plan that will take your company where you want it to go. In this seminar Productivity expert Ciara Conlon (www.ciaraconlon.com and @ciaraconlon) will highlight the barriers to focus and encourage you to form the positive, productive habits that will improve your workflow and get more of what matters done. Refresh Boyne is a community of designers and developers working to refresh the creative, technical, and professional culture of the New Media industry in the Boyne region, and we are delighted to welcome Brian Connolly, the producer of the leading podcast series in Ireland – An Irishman Abroad, to The Mill. The lifeblood of every business is cash. Getting access to finance is critical to starting or expanding your business. If you want to find out where you can get much needed finance then this event is for you. Join us to find out where small business can access finance. Learn about new forms of finance coming to the market. Meet representatives of funding providers and talk to them about your financing requirements. Hosted by business finance expert Alan Costello, this event is an opportunity for you to discover first hand current sources of finance, both traditional and newer forms, available to businesses in County Louth. This event, hosted by PayPal, is your opportunity to learn how to capitalise on that growing trend. Anthony Rafferty, PayPal’s Director of Merchant Services, will explain their Braintree service which can offer your company free processing on the first €50,000 worth of transactions. This seminar will be followed by a tour of PayPal’s facility in Dundalk, providing a unique insight into how the company operates. In this very practical and highly engaging workshop, Joanne Hession will work with local people who want to explore ideas they have for a new business. She will also work with people who are already in business but have ideas on how to expand their product or service offering. In this talk, Raomal Perera will talk about the first steps in product development. he’ll introduce the terms, ‘Finding the Problem-Solution fit’ and ‘Product Market fit’. He’ll offer a brief overview of lean start-up techniques and how they’ve evolved. Most important, he’ll explain how, in combination with other business trends, they could ignite a new entrepreneurial economy. The E-Payments Conference “Payments – The Opportunity for Collaboration and Scaling”, hosted by The Mill, will take place at City North Hotel where guest speaker David Birch, from London-based Consult Hyperion, which specialises in secure electronic transfers, will speak on the future of the e-payments sector. This free half-day event in Drogheda has been specifically designed to help small and start-up businesses understand and benefit from the services provided by many of our State offices and agencies. The event will include short presentations and opportunities to get information directly from the agencies involved. Hear Ian Lucey talk on why and how Lucey Investments work with Startups. Attendees will have an opportunity, over lunch, to hear exactly what they need to do to attract investment. The Mill are hosting a Refresh Boyne event with Gary O’Neill from Zink Films as a guest speaker. Zink Films is one of the top suppliers of quality broadcast and web animation in Ireland having created content for companies such as Coke, Guinness, Carlsberg, Vodafone, Flahavans, Yoplait and many others. The Mill is delighted to partner again with Refresh Boyne to bring the best in Digital to Drogheda on the Boyne! Eamon Leonard is a founder, an advisor to start-ups, an angel investor and a tech community organiser. ”Innovate Drogheda – Printing’ is the third of a series of four events, celebrating Drogheda’s industrial & entrepreneurial past with its present and future entrepreneurs. Featuring Mcor Technologies. Michael Carey, Chairman of Bord Bia and founder of The Company of Food, a specialist food investment business, will be the second speaker at the FoodTech@TheMill programme. ‘Innovate Drogheda – Food’ is the second of a series of four events, celebrating Drogheda’s industrial & entrepreneurial past with its present and future entrepreneurs. Featuring McCann’s Irish Oatmeal & Dunany Flour. Budget 2015 will be announced on 14th October and Drogheda & District Chamber of Commerce will be hosting their annual Budget Breakfast the following morning in the Spire Restaurant, Duleek, who will also kindly sponsor full Irish breakfast on arrival. ‘Innovate Drogheda – Brewing/Distilling’ is the first of a series of four events, celebrating Drogheda’s industrial & entrepreneurial past with its present and future entrepreneurs. Featuring Cairnes Brewery & Jack Cody’s Brewery. The Mill has partnered with the local creative & technical networking group, Refresh Boyne, over the past six months, to deliver a range of topical seminars on technology, creativity, and usability within the Digital sector. They’re hosting a BBQ Night in Brú Bar and Bistro, Drogheda, which will be a fantastic occasion to hear great talks, whilst enjoying a complimentary beer and snack. The Mill Enterprise Hub and IBM invites entrepreneurs, developers and independent developers to relax, network and listen to IBM experts as they provide an overview of IBM Global Entrepreneur and live demo of Codename: BlueMix.This is a great opportunity for any business to get access to cutting-edge technology for free, with world class support and advice from IBM. Is your CV effective in relation to getting a call for interview? Worklink are running a workshop intended for people who want guidance on how to write a CV and what to include in it. The session will include tips and suggestions on how to make a good first impression on a prospective employer. It will also include information on producing an effective cover letter. There are 15 spaces available to unemployed jobseekers on a first come first served basis. Marketing has changed, and businesses of all sizes and from all industries need to keep adapting their strategy in order to ensure their marketing efforts are effective and their businesses continue to thrive. In recent years, blogging has become one of the most valuable tools in marketers’ kits, yet, many businesses are oblivious to how much value it can add, and have yet to get to grips with blogging for their business. Aine Bermingham from Utter Digital will help break through the blogging barriers and will provide you with practical knowledge on how to blog effectively. Do your customers think you use Facebook effectively – or are you even using it? Does it accurately represent your business? Have you generated revenue, new customers, or increased loyalty via Facebook? Have you a Facebook / Social Media strategy? If you answered ‘No’ or ‘Don’t Know’ to any of these questions, this seminar will provide practical advice to get you up and running, and improve your existing Facebook strategy. Node.js has made it into the mainstream with adoptions by large organisations such as Walmart, PayPal and MasterCard as well as some interesting niche implementations. This talk by Anton Whalley will be a view on what led to those successes and what the next boundaries are that the node community is seeking to break through. Internationally acclaimed mentor, executive coach, speaker, consultant and author, Veronica Canning is one of Ireland’s leading business contributors, with 30 years experience of working to board level in global companies across a wide variety of industries. Veronica will share with you how to create your personal brand and how to develop it into a killer brand that ensures that you can build a fantastic career that will bring you to the top. This ‘Marketing Matters’ Workshop will be facilitated by Geraldine Johnston of Boyne Communications, who specialises in marketing on a budget for start-ups, fledglings & SMEs, and will include a health check/audit of your marketing activities, Q&A and an opportunity for short one-to-one sessions. Are you a little bit afraid of Twitter? Do you want to use Twitter for your Business? If your answer to these questions is YES, then you need to attend this seminar delivered by Louisa Maher and Network Louth Meath. If you’re like most business owners, getting a free plug on the radio or a good write up in a newspaper can be worth so much. But, when you’re working with a shoe-string budget for marketing, hiring a public relations company may not always be practical or affordable. The good news is that it’s possible to do your own PR! The secret is just knowing how to go about it and having access to the right tools. UX Design has become a highly commoditised the term. That said, it has a very specific meaning and Laurence Veale will use this talk to define and claim it back! It all comes down to selling….. whether you are a multinational, an SME or a Sole Trader, you will only be able to realise your business’s full potential when you develop a systematic way to generate business and close sales. This morning seminar will give you an insight to the tools and methodologies on how to create a systematic way of selling. Whether you are new to selling or have been selling for years, the insights covered in this seminar will dramatically add to your sales toolbox! The Mill are delighted to host the first ever talk at Refresh Boyne. Adam Comerford or MongoDB Inc will give an introduction to MongoDB at 7:30pm on Wednesday 15th January 2014. We are delighted that The Mill hosted two events as part of the Louth County Enterprise Board’s programme for European SME Week 25th to 30th November.